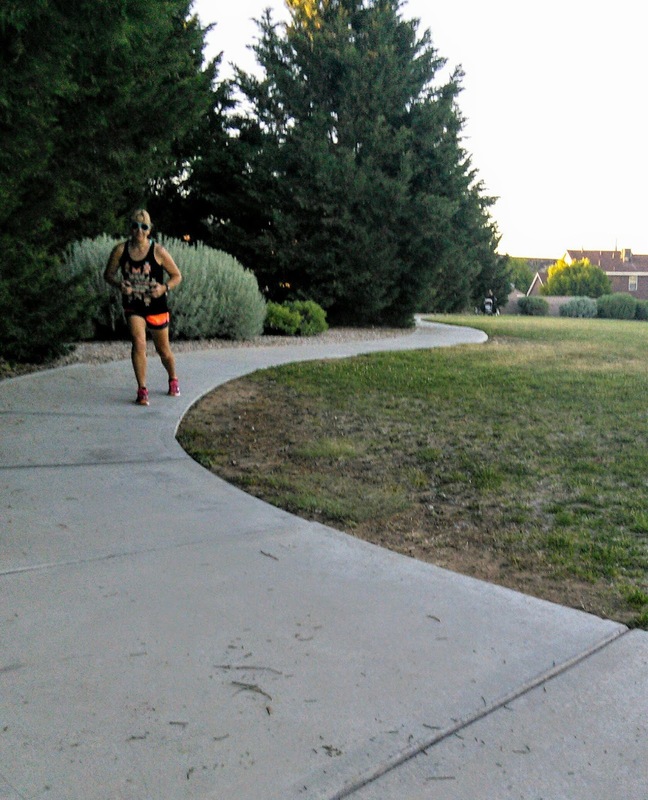 I love to run and I want nothing to stop me from getting a good run in. As a runner/older runner, I sometimes get those muscle/joint pain. I guess it comes with the sport and when I forget to stretch. I admit I hate stretching and never did any in my younger days. Now that I am older, I have to stretch or my muscles feel the effect afterward. I also sometimes get pain from previous injuries( link to post) that flare up once in a while. When I do get those dumb/get in the way or running pains, I like to treat it fast and naturally so I can get back to my running. I recently discovered an amazing product that takes care of my pain quickly and naturally. This therapeutic cream that is a feel-good product has CBD(Cannabidiol) in it and I am amazed at how it works. For those that know what CBD is, I am sure you either know the benefits or have questions about it. I know I sure did. I was introduced to CBD at my last conference and was very hesitant about using it. I first had to do my research as I was worried about side effects. So let me tell you more about this product that I discovered from Sagely Naturals. I received samples from Sagely Naturals. 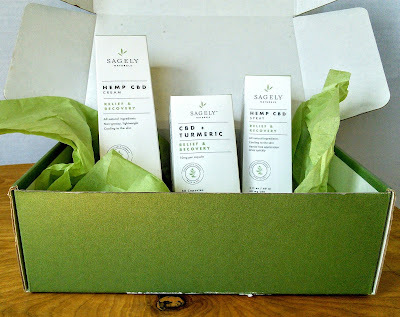 Sagely Naturals sent me a couple of products that contain CBD. They sent me three Relief & Recovery products in three forms- capsules, cream, and spray. Before I tell you about how they helped me, I will get the concerns about CBD out of the way. When most people think of CBD they think of it as that recreational drug that gets you high as it contains hemp. This product is derived from hemp but contains none of the THC( the ingredient that is responsible for the psychoactive sensations and side effects.) So you can relax knowing that you will not get high from CBD. Did you know that CBD is present in many plants like kale and broccoli? 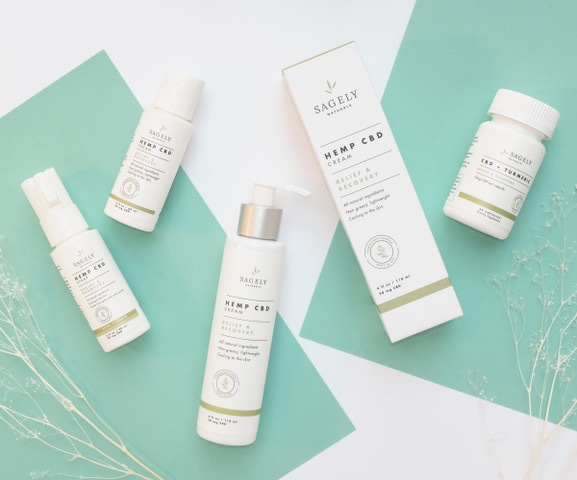 Sagely Natural products have organic ingredients in them like peppermint oil, Argan oil, safflower oil, turmeric, and menthol along with the hemp. The ingredients are Non-GMO, gluten-free, vegan, kosher, and preservative free. So after finding out that these products were safe and natural, I felt good about using them for my aches and pains. I first tried the Relief & Recovery cream. This was a thick white cream and at first, I thought I was going to be left with a white residue on my skin but I kept rubbing it in and the cream absorbed into my body leaving no white residue. I guess the company made it that way so you will rub it thoroughly into your skin to get it deep in there. At first, the cream had a cooling effect and a nice peppermint scent. The cooling effect was nice and I thought “ this is all it does?” Then after about five minutes, a wonderful ahh, this feels nice effect happened. I had rubbed the cream into my shoulders and it felt like I just had a nice massage. My muscles were relaxed and feeling good. My boys noticed that mom was enjoying the nice feeling and I told them about the cream that I had just used and how it took away my sore muscle pain. My 10 year old asked if he could try the Relief & Recovery cream and proceeded to show me a spot on his leg that hurt from falling down. I rubbed some of the cream on his leg without any hesitation as this was a safe natural product. My son said, “ I don’t feel anything.” I told him to wait 5 minutes and he did. After 5 minutes, he exclaimed, “ my leg feels cool and it does not hurt anymore.” This made the nine-year-old want to try it and he quickly started looking for a place on his body that needed some pain relief. Amazingly, he had no injuries that day. So I rubbed the cream on his arm and he did not complain of any skin irritation. That was awesome as he has very sensitive skin. He quickly noticed a cooling effect also. This cream gave my muscles long-lasting relief and I am excited to try it after a long run or when my hamstring injury flares up. Later on that day my husband came home and I told him all about the Relief & Recovery cream and how it would be great for his sore back. I was thinking that this cream would get me relieved of back rubbing duties. I also told him that all three Relief & Recovery products would be good for him to use after the gym. I really wanted him to try the capsules as I have been trying to get him to start taking turmeric supplements. I already take turmeric supplements and know the great benefits of its anti-inflammatory properties. Turmeric has helped me with an Achilles injury so I know the addition of CBD is a good thing. My husband also tends to get frequent headaches so I told him about how the spray could help with that. These three Relief & Recovery products are going to my go-to products for all my aches and pains that I experience from running. I will be packing the cream in my travel bag for those sitting on a plane sore neck muscles. Want to know more? Then check out Sagely Naturals Relief & Recovery products. Sagely Naturals, the innovative CBD wellness brand, was derived from Hemp, a therapeutic super-plant, CBD taps into the existing Cannabinoid receptors in our bodies and safely provides immediate and natural pain relief without the high of straight marijuana. Their Relief and Recovery Cream and the Pain Relief Supplements helps tired, stressed, or fatigued muscles and joints while combating discomfort and inflammation. They also alleviate PMS symptoms, mild anxiety, and chronic aches and pains. We believe CBD is much like Tumeric and Kombucha, and it's about to take the wellness world by storm because of its natural healing properties.